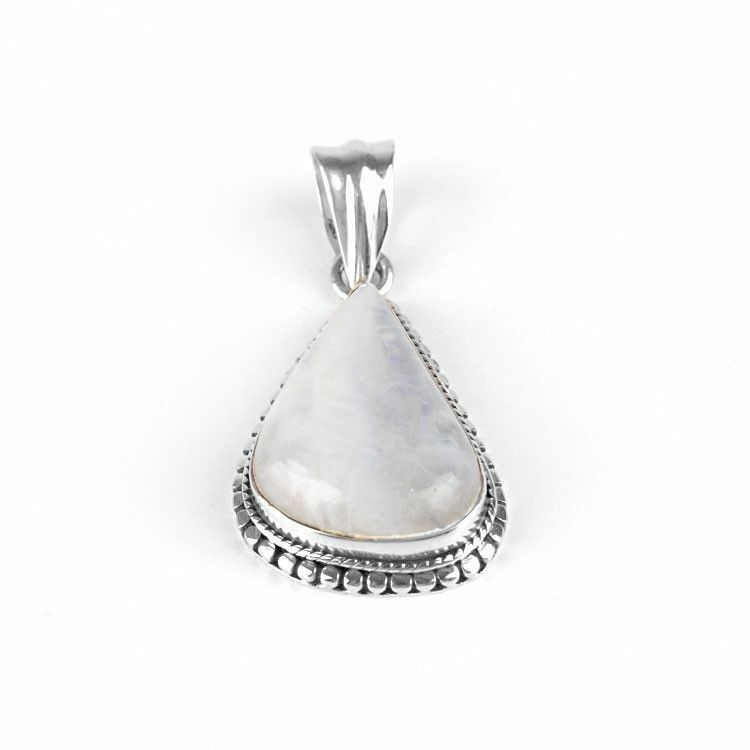 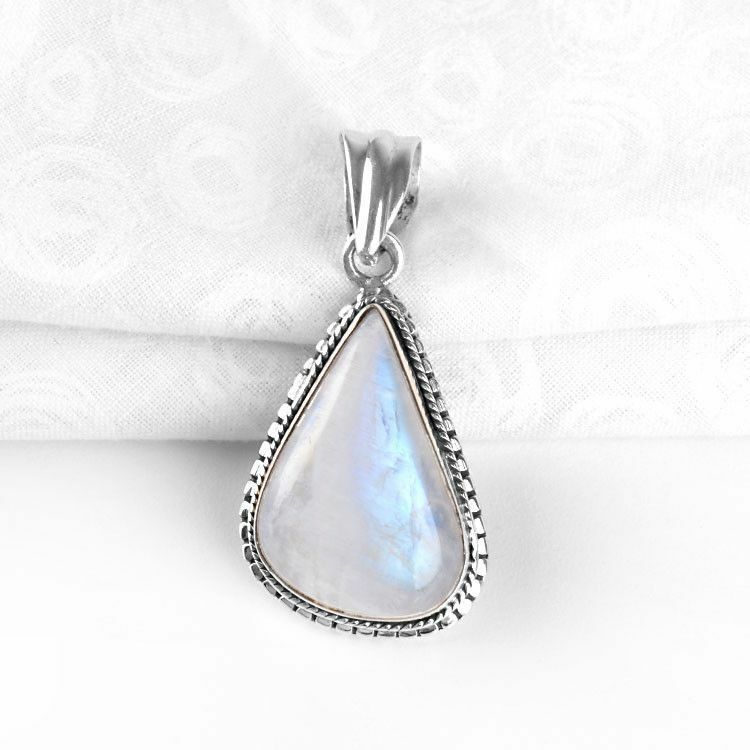 This unique shape pendant features one iridescent rainbow moonstone that has been polished and set in stylized sterling .925 silver. 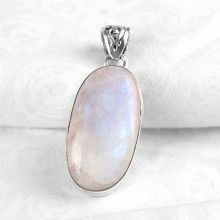 The back side of the pendant is open allowing light to shine effortlessly through the stone, revealing amazingly bright colors. 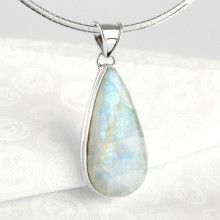 The stone is Approximately 1" x 3/4" in size. 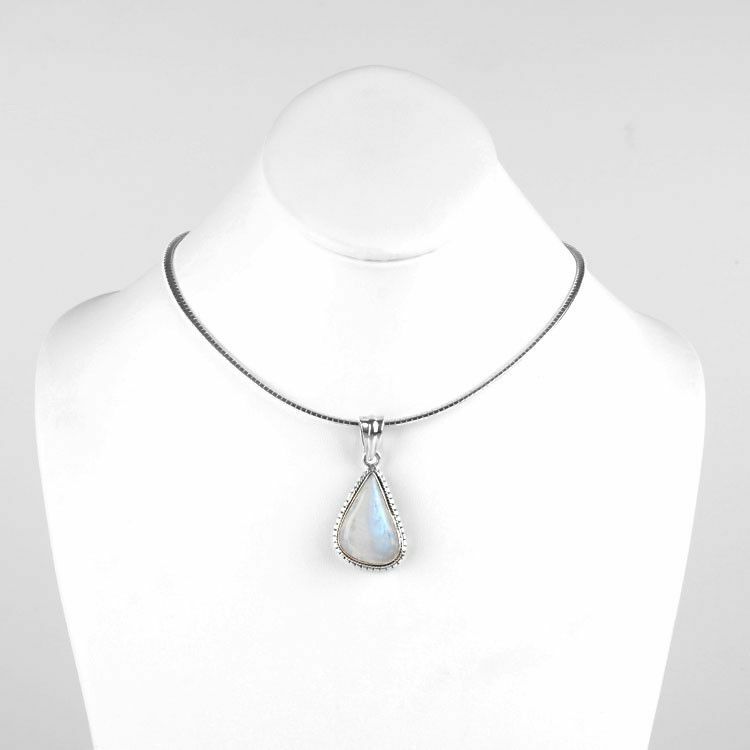 This pendant is slightly under 2" in long and nearly 1" wide.